Following a sell-out run at Chichester Festival Theatre and a successful staging at Hampstead Theatre, Michael Longhurst's production of Tony Kushner and Jeanine Tesori's Olivier Award-winning musical transfers to the West End. 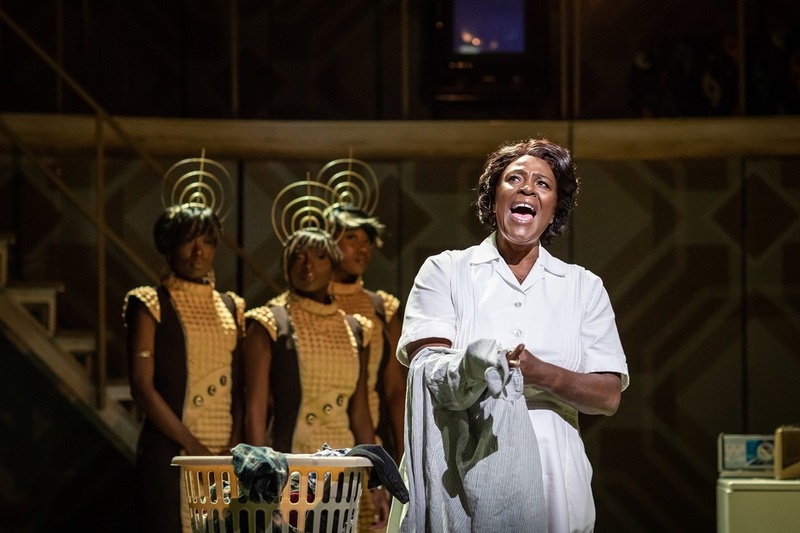 Sharon D Clarke plays formidable maid Caroline Thibodeaux, who forges a touching friendship with her employer's young son against a backdrop of turbulent social change in 1963 Louisiana. The Olivier Award-winning production is set in 1963 Louisiana during America's civil rights movement. Whatever the progress of the movement, everything in the Gellman household seems to stay the same. For now, that is. Eight year old Noah is heartbroken by the death of his mother and his father's remarriage, choosing to escape it all by sneaking down to the basement to spend time with his black maid, Caroline Thibodeaux. However, when Mrs Gellman figures out a way to enable Caroline to take home a little more money, it has unexpected consequences her and Noah's relationship. What are the best dining options near Caroline, Or Change London? Caroline, Or Change gyms, sporting activities, health & beauty and fitness. The best pubs near London Caroline, Or Change. Caroline, Or Change clubs, bars, cabaret nights, casinos and interesting nightlife. Where to have your meeting, conference, exhibition, private dining or training course near Caroline, Or Change. From cheap budget places to stay to luxury 5 star hotels see our deals for Playhouse Theatre hotels, including The Royal Horseguards - A Guoman Hotel from 81% off.